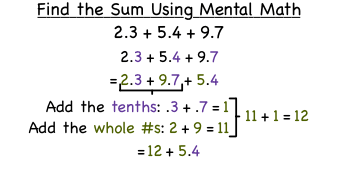 Adding numbers mentally is easier than you might think! It can be a quick and fun skill! This tutorial shows you how to take decimals and add them mentally. When you're adding numbers together, does their order matter? This tutorial can answer that question! It looks at the Commutative Property of Addition!